Kansai Plascon Uganda Limited is currently seeking approvals to begin sales in other East African countries. March 20—East Africa’s paints market is set for a shake-up. Japanese coatings maker, Kansai Plascon, is trying to get approvals from regional governments to begin sales of its new anti-mosquito brand currently manufactured by its Ugandan subsidiary. Last year, the Japanese-based holding company restructured to set up Kansai Plascon Africa, after buying all the Sadolin Paints Company interests in Kenya, Tanzania, Uganda and Zanzibar. Annually, East Africa’s paints market is now estimated at nearly $400 million. In comparison, four years ago, it was less than $150 million. However since then, a sustained construction boom across the region, has helped push up sales. Sources said Uganda is the second country in Africa alongside Morocco, to get the new paint which is a modification of the acrylic emulsion paint mixed with a new mosquito ‘knock out’ technology. Sales in Uganda have soared since the brand was launched earlier this year with the backing of the health ministry. Latest World Health Organisation figures released in November 2018, showed that there were 219 million cases of malaria in 2017, up from 217 million cases in 2016. But the estimated number of malaria deaths stood at 435,000 in 2017. According to the Ministry of Health, on a daily basis, Uganda losses about 300 people to malaria, mostly children below the age of five. Santosh Gunte, the co-Managing Director of Kansai Plascon Uganda said stocks or the new paint are likely to be sold out in the next three weeks. “This is due to unexpected demand. We had produced enough for three months in the first production phase, however due to unanticipated demand, we are almost out of stock,” he said. He said they are in the process of procuring materials to maintain production. Contact with surfaces coated with this paint weakens and eventually kills the mosquitos. The paint is effective up to two years. 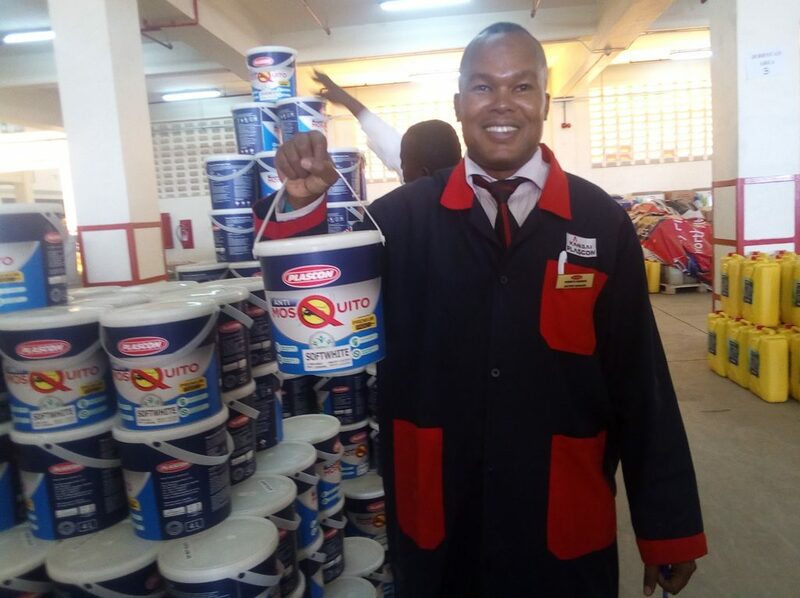 Although Kenya’s top paints maker, Crown Berger and Basco have no similar product, on the market, Kansai Plascon is bound to face some resistance. Crown controls more than half of the Kenyan market, the biggest in the region.